We welcome the introduction of the newest rule release for today from the VRT. In this release we introduced 96 new rules and made modifications to 40 additional rules. The Sourcefire VRT has added and modified multiple rules in the app-detect, blacklist, browser-ie, deleted, exploit-kit, file-identify, file-office, file-other, indicator-compromise, indicator-obfuscation, indicator-scan, malware-cnc, malware-other, malware-tools and smtp rule sets to provide coverage for emerging threats from these technologies. We welcome the introduction of the newest rule release for today from the VRT. In this release we introduced 2 new rules and made modifications to 5 additional rules. The Sourcefire VRT has added and modified multiple rules in the app-detect, blacklist, browser-ie and file-other rule sets to provide coverage for emerging threats from these technologies. We welcome the introduction of the second rule release from the VRT. In this release we introduced 6 new rules and made modifications to 9 additional rules. this release and are identified with GID 1, SIDs 27943 and 27944. Snort 2.9.5.5 is now available on Snort.org! to correctly stop inspection after an SMTP session is encrypted. for packets on a previously blocked session. both the time and packet count criteria are met. shared library rules as already existed with text rules. We welcome the introduction of the newest rule release for today from the VRT. In this release we introduced 46 new rules and made modifications to 37 additional rules. The Sourcefire VRT has added and modified multiple rules in the blacklist, browser-ie, browser-plugins, exploit, exploit-kit, file-identify, file-office, indicator-compromise, malware-cnc, protocol-voip, pua-adware and web-client rule sets to provide coverage for emerging threats from these technologies. 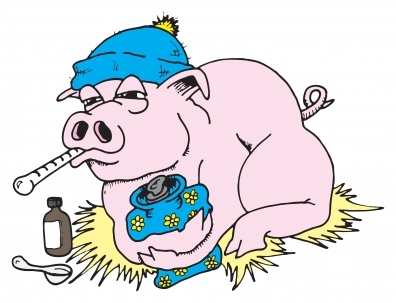 PulledPork 0.7.0 - Swine Flu has been released and can be found at the PulledPork site. There are numerous feature changes and enhancements that dramatically affect the functionality and capabilities of PulledPork since the last major 0.6.x release. An excerpt of the changelog is at the bottom of this post and lists all of the changes/features/enhancements. The most significant change that you are likely to notice deals with how PulledPork now processes the rules tarball. In the previous versions of PulledPork when you would run the application it would process the rules tarball as designated in your configuration, regardless of whether or not the source tarball had changed (no new rules tarball for example). With the new changes the source rules tarball is ONLY processed if it is new/changed OR if you specify the -P runtime flag. So for tuning exercises or out of band runs when the source tarball is unchanged, you MUST specify the -P flag for any processing to occur. Inline with the new IP Reputation preprocessor that was introduced in Snort 2.9.1 we have included full support for this feature. This support includes a couple of new configuration options that are located in the pulledpork.conf and allow for retrieval of multiple ip reputation lists (PulledPork will automatically de-dupe these lists). If you are running Snort on Linux you are also able to specify at ./configure time an option to allow for in-memory reloading of IP Reputation lists, thus you do not have to SIGHUP or completely reload Snort. This in-memory reload is accomplished by using a control socket that this version of PulledPork is capable of utilizing. Working closely with the Barnyard2 team we have developed a new version of the data in the sid-msg.map. This allows for more information to be included in intrusion events such as the revision of the rule (currently not included in alerts). The default version is still version 1 of the sid-msg.map file, it is CRITICAL to note that only Barnyard 2.2+ supports this new version of the sid-msg.map file and as such ONLY when using this version or newer of Barnyard 2.2+ should you change this value in your pulledpork.conf. When utilizing the default configuration that creates two single unified rules files (one for so_rules and one for text rules) the so_rules stub files are now included in the single rules tarball. This means that you no longer need to include the so_rules.rules file. This single rules file is now internally separated by category and rule type, or generator to allow for rapid rule location and more logical perusing of the file. - Bug #96 - Modified code to allow for same-line traling comments: "1:10011 #can haz disable!" resolution, this is a critical piece. - Bug #121 - Update to allow for new etpro.com url and cert! This allows for better mapping of gid:sid:rev in the database! file is updated then they are all extracted and processed. As we indicated in a previous blog post back on August 14th, a few Shared Object rule platforms have been deprecated. We welcome the introduction of the newest rule release for today from the VRT. In this release we introduced 63 new rules and made modifications to 30 additional rules. 27823, and 27826 through 27828.
this release and are identified with GID 1, SIDs 27829 through 27846.
this release and is identified with GID 1, SID 27822.
this release and are identified with GID 1, SIDs 27850 through 27859.
this release and is identified with GID 1, SID 27860. We welcome the introduction of the newest rule release for today from the VRT. In this release we introduced 35 new rules and made modifications to 30 additional rules. The Sourcefire VRT has added and modified multiple rules in the browser-ie, browser-plugins, exploit-kit, file-executable, file-java, malware-cnc, policy-other, protocol-scada, protocol-tftp, server-apache, server-mail and server-webapp rule sets to provide coverage for emerging threats from these technologies.